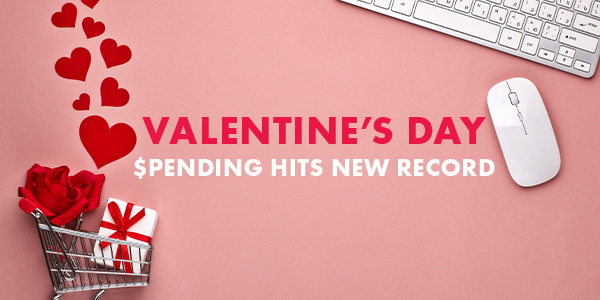 Consumers were certainly feeling the love this Valentine’s Day, spending $20.7 billion, according to the National Retail Federation. That’s well above their prediction of $19.6 billion, and the highest amount spent on record. That’s great news for the floral industry, since 35% of shoppers purchased flowers for Valentine’s Day, for a total of $1.9 billion in sales. Flowers were, of course, one of the top five Valentine’s Day Gifts; the others were candy, greeting cards, an evening out, and jewelry. One interesting point about Valentine’s Day spending was that only 51% of the population planned to celebrate Valentine’s Day, the lowest since 2009. The record high was 63% in 2007. One possible reason is that as the population ages, fewer people will celebrate, as those who are over 55 and fairly settled tend to celebrate less than those in their teens, twenties and thirties. According to the National Retail Federation, 52% of those between the ages of 25 and 34 will celebrate, and 53% between the ages of 18 and 24, but only 47% over 55. Of the other half who weren’t celebrating, about one-third were doing something, such as purchasing themselves something special, or getting together with family or friends. While fewer people were celebrating, those who were, spent a record amount of $161.96 per person. The record had previously been set in 2016 at $146.84. Men spent almost twice as much as women, at $225.97 versus $97.77. Also, men’s spending was up 20 percent while women’s spending was down one percent. More than a third of Millennials have pets—greater than any other age group—and they love to treat their pets on holidays with special gifts. On Valentine’s Day, those consumers aged 25 to 34 were expected to spend $12.70 each, which is triple the amount spent by those 35 to 44 ($4.08 each), and almost ten times the amount those 65 and older spend on their pets for Valentine’s Day ($1.44 each). 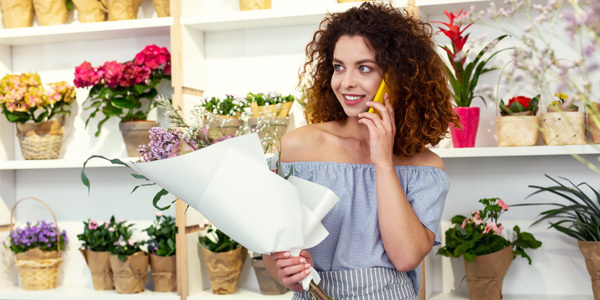 While 16% of Valentine’s Day shoppers visited a florist, the majority shopped at department stores (35%) and discount stores (32%). Online shopping was also a favorite choice, with 27% purchasing their flowers and other gifts online. More and more shoppers are turning to their mobile device when making purchases. This Valentine’s Day, over half of smartphone owners used their device to purchase gifts; more than a third used them to research products, prices, and retailers. They also redeemed coupons and purchased products with their devices. Knowing these trends, and that consumer spending is on an upswing, will help you reap the benefits of higher sales throughout the rest of the year.